My name is Simon Urbanek and I'm currently working as a researcher at AT&T Research Labs in Statistics Research. More about my current research (recent publications, current projects in mathematics) can be found on the research pages. See also my AT&T research page. Most of my R-related projects are now available from RForge and GitHub. 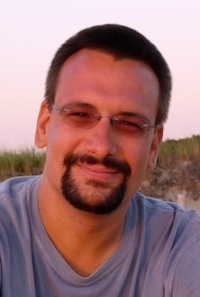 Previously I was working as assistant researcher at the department of computer oriented statistics and data analysis at the University of Augsburg - you will find several interesting projects I am involved in on the software pages. Already since my early age I was interested in programming, software development and networking. Some of my projects are listed in the projects section. Source code for many of these projects is available either on request or can be downloaded directly from the corresponding pages. My hobbies beside sports (tennis, golf, badminton, diving, windsurfing and volleyball) are also teaching other people programming (perl, C/C++/Obj-C, Java, Asm, ...). I used to work a lot with Linux, but since Apple has switched to BSD-based unix I spend most of my time using Mac OS X. I am contributing to the R project and most of my programming these days is related one way or another to R, distributed computing, Macs or iOS devices. A healthy body and mind is important not only to researchers, so if you are interested in Shiatsu, ShinTai or Hara treatment, please visit One World Shiatsu.